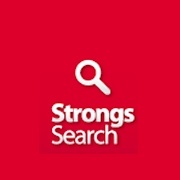 Strong’s Search is a free online based application that can be used on any mobile device. This app will let you search the entire Strong’s Concordance quickly and easily. StrongsSearch – iBibleApps from Kurabeteyomu.com on Vimeo.